Sometimes spontaneity conflicts with best laid plans or preparation that usually adorns a spot of overlanding. But in our opinion, that’s precisely what weekends are for. Recently we threw the swag on the roof, fridge in the back, and scooted off towards Oberon. Without so much as prerequisite research or notice. 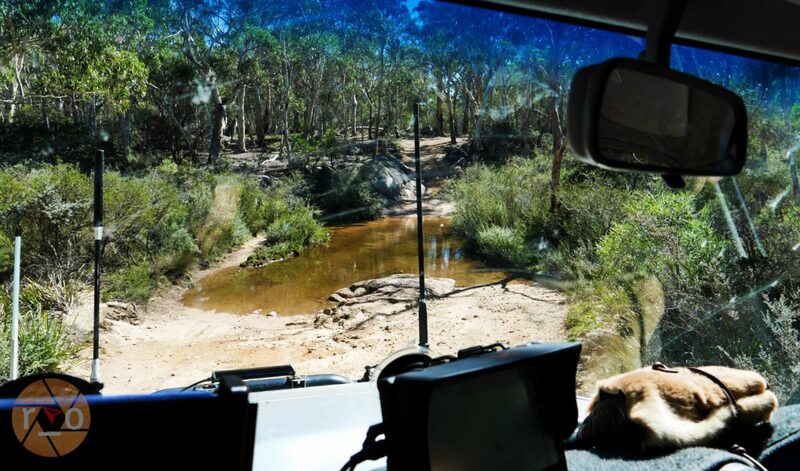 Our old favourite Boiling Billy’s “4WD Treks Close to Sydney” sitting on the dash, we would play it by ear and skim through the details en route. Picking up some fizzy refreshments at Blackheath, we made good time and were taking the turn toward Jenolan Caves after an easy commute up and over the Blue Mountains. The warning signs against caravans were frequent and insistent, but it took a while before the road validated their tone. Whilst the hairpins and descent were not anything noteworthy in the LandCruiser, the width of the road was consistently narrow. We faced no oncoming traffic however and so we weren’t able to test its capacity. Despite this, the road is slow going. The winding blind corners demand a lower gear and heightened attention in their frequency. We were stuck behind a bus, so our pace was non-negotiable anyway. The balancing act between taking in the sights, spotting the upcoming features, whilst calculating said turns is a clever one. I am constantly darting left, right, up and down in attempt to take it all in and maintain a safe commute for us. Nevertheless, I spotted first the water and shortly after, we descended upon a grandiose entrance to a cave in the mountain. Minus the Balrog, or Gandalf’s wit, we slowly entered. Trying to absorb the enormity of the cave as it swallowed us, LandCruiser and all. Forcing those on foot, with our eyes, to stay out of our path. The underground commute is as brief as it is encapsulating. Popping out the other side, the shade of the mountain captures a picturesque street with cobbled footpath and incredibly gabled buildings. Where were we again? The stunning detail and scope of the buildings was maybe the bigger shock. Someone went to a lot of effort to be here. It was not the National Parks or Reserve ranger/caretaker homestead I was expecting. 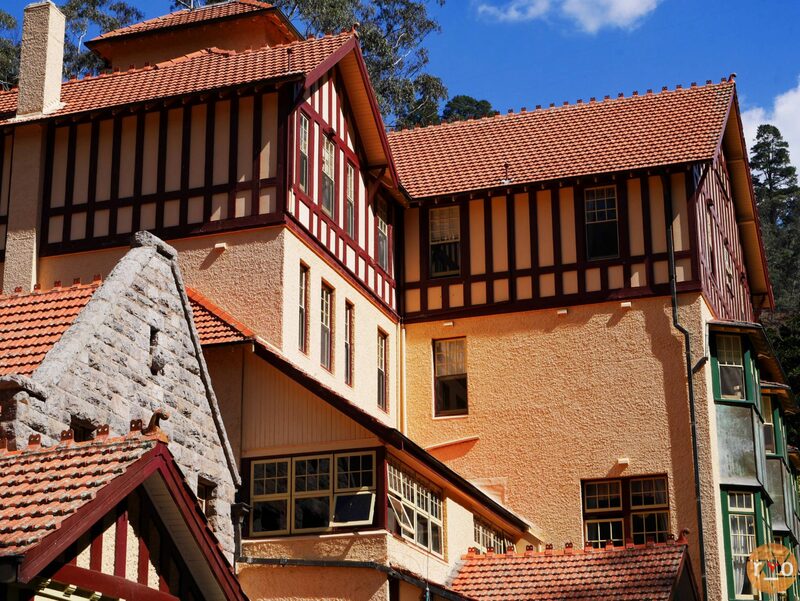 The Jenolan Caves House, is rightly so, a heritage listed Hotel. It was rebuilt in stages after damaging fire. This explained its commanding presence over the cave entrance. At its feet are old but still recognisable garden architecture and there is an old tennis court behind. Serious man power and attention to detail in buildings ‘back then’, comparative to the bland mass production you see now. We climbed a steep and sharp turn to the carpark and found the last available. Walking back through the old stone steps of the garden we poked our heads into the lobby of the Hotel. After making our own way to the cave on foot we saw the road was actually closed to exiting traffic. This explained our lack of oncoming vehicles to negotiate with on our way in. We learned that we would be hard pressed to be included on any of the busy tours available without prior booking. Given the beautiful Saturday morning we had chosen to visit. So we opted for some lunch after our wandering. The turnover of visitors was a well-oiled machine it appeared; the food on offer was kiosk and quick. I opted for peppermint tea and soaked up the sunshine. 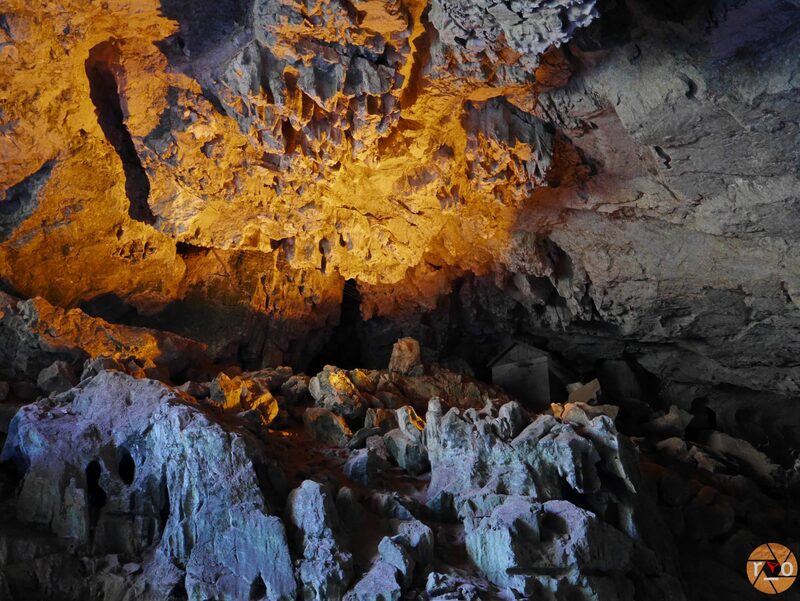 Without a cave tour we had no excuse but to push on. The ascent toward Oberon was intimidating despite it being a sealed two way road. We were stuck behind an automatic who was ambling up at walking pace, causing me a fair amount of sweaty palms and gear anxiety. I had no choice but to stop and allow the Izuzu to gain some distance. It wasn’t long however and we were at the summit of Mount Oberon and cruising in the clouds. Following the HEMA HN7 we turned left toward Kanangra. Boiling Billy described the same, although we weren’t really paying attention to the kilometres travelled. Running out of bitumen brings about a new focus. The excitement that the expedition has started a new chapter causes me to sit a little straighter, yet relax a little more – simultaneously. Sacrificing traction, for rocks and washouts is a conflicting but exhilarating sense of freedom. Before long we let some air out of the Toyo MT tyres, before continuing on. Seeing only one other vehicle we eventually found Boyd River and its campground, the tall gums and dust made it a tranquil and picturesque sight with already a few occupants. 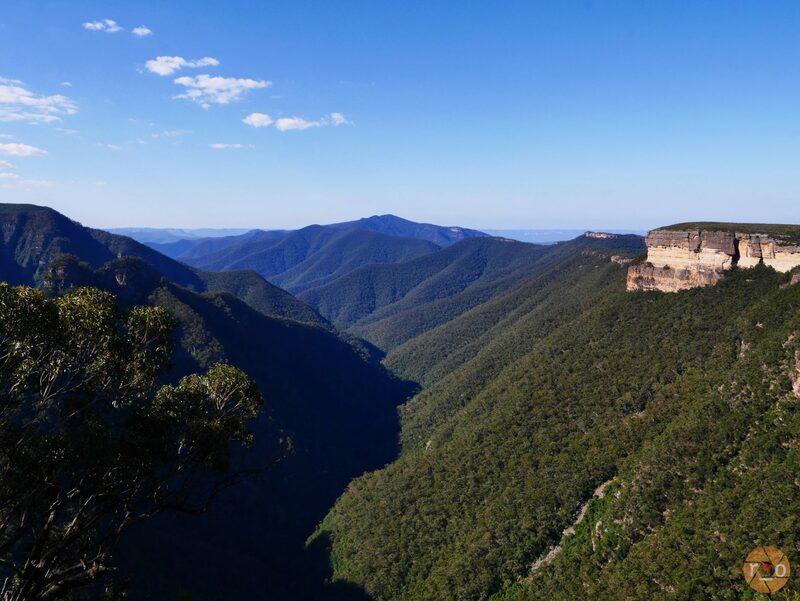 We pushed on to Kanangra Walls. Joining a few cars, we parked before taking the short walk to the edge. The hour was late so we opted to skip the preferred walk and instead spent some time absorbing the emptiness in front of us. The characteristic blue haze in the distance set off with the setting sun’s light on the walls themselves. We were lucky enough to only share it with one other party of explorers and no wind, or any noise at all. It was a very tranquil and contemplative spot on the cliffs edge, contrary to my last experience on the windy plateau of Kings Canyon. Eventually peeling ourselves away, we needed a campsite. I had heard about Dingo Dell but not Boyd River. 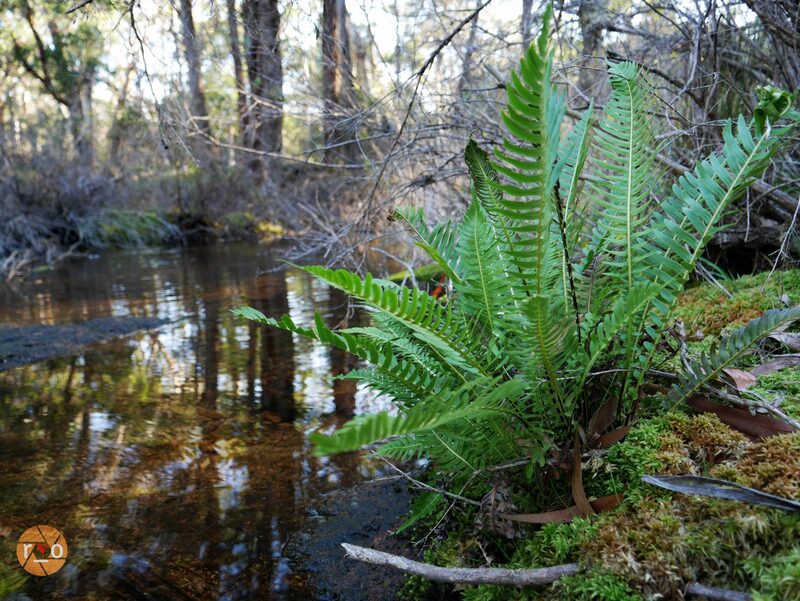 I figured whilst the latter was more known, we would be able to inspect Boyd River for its suitability or drive on towards Dingo Dell. Entering the left, less occupied side – I was almost immediately sold. 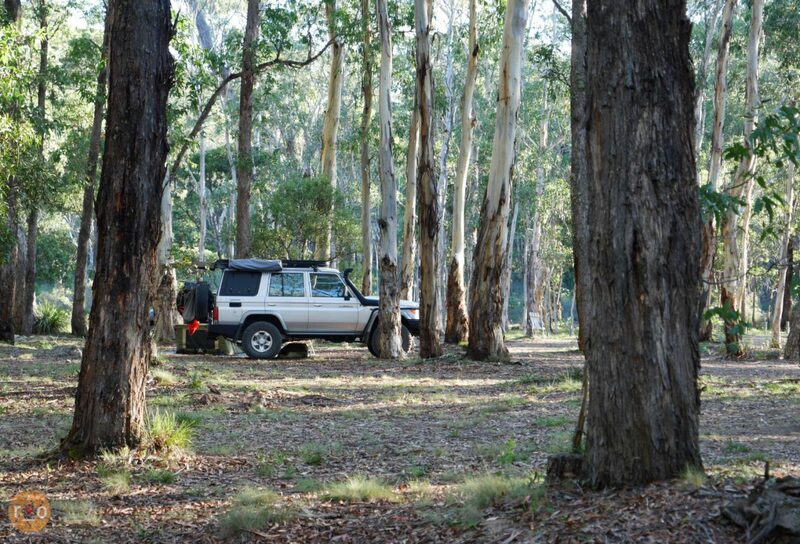 The tall eucalypts diffused the sunlight distractedly but up close there were several campsites. A beautiful sleeper hut, shelter and toilets. We drove the other side also and found it more shaded and populated. Decided, we retreated back to the most abandoned corner and unstrapped the swag. David pegged it out whilst I took a bag and collected up a disappointing amount of rubbish around the neighbouring camp. It was ruining my mood as much as the planet. I can’t decide if litterers are simply devoid of responsibility and expect others to clean up for them, or devoid of compassion for both their fellow campers and the planet. Either way, I wish they would stay at home. Bag stocked with wet-wipes, bottles, plastic plates, ice-cream sticks, toilet paper. I also found an entire cook set and stacked it on the provided grill over the fireplace. If their owners weren’t returning for them, maybe someone could use them. Now, our views were litter free and the neighbouring campsite was ready to be occupied. Which happened shortly after my clean-up. 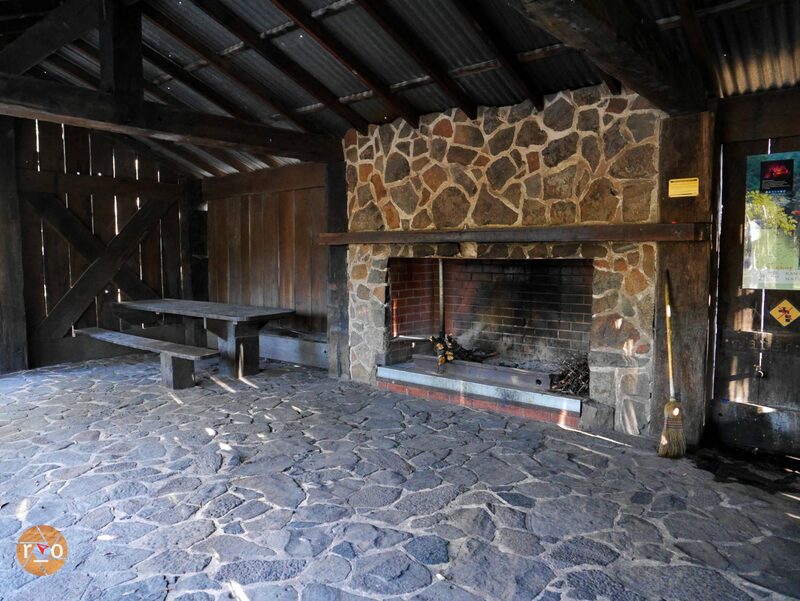 We explored the campsite, trickling stream and its hut, made of timber recycled from Circular Quay – it would provide strong shelter in the event of a storm and had a dominating fireplace confirming it. There is a water tank also. By now the trailing light was giving out to the evening chill so we stoked up the charcoal starter for dinner. David cooked chicken breasts on the charcoal, perfectly charred outside but soft and juicy inside, I threw a salad together and slacked off, using the last of the sun with my camera. 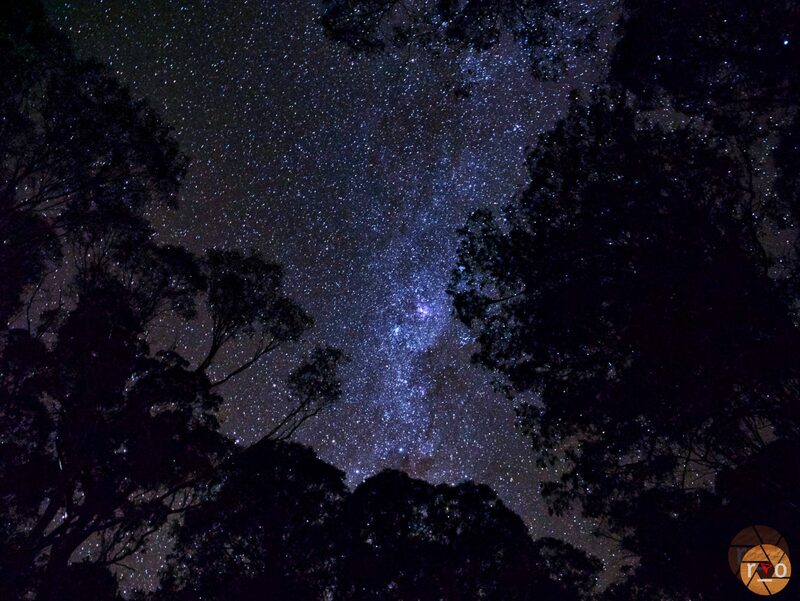 The canopy was thick but not enough for the searing stars to piece through, the lens capturing them, and more. With dinner cooked, the Snow Peak firepit was stoked with timber we brought from home. I sat cross legged on the road and took photos, playing with the settings before the chill chased me back to the fire and boyfriend. Watching the fire burn down, we were ready for bed early, as was everyone at camp it seemed, and all was quiet. Waking late, by our neighbours standards, they were gone before my coffee was even suggested. The commonality of dual cab 4WDs and Kings roof top tents makes for early departure. I, on the other hand, refused to leave the Southern Cross Canvas swag, listening to the morning birdsong and relishing in the freshly ground coffee – brewed and brought to me in bed. We, however needed to get going. As the map suggested, we were less than half way. Weetbix, almond milk with fresh banana for breakfast. 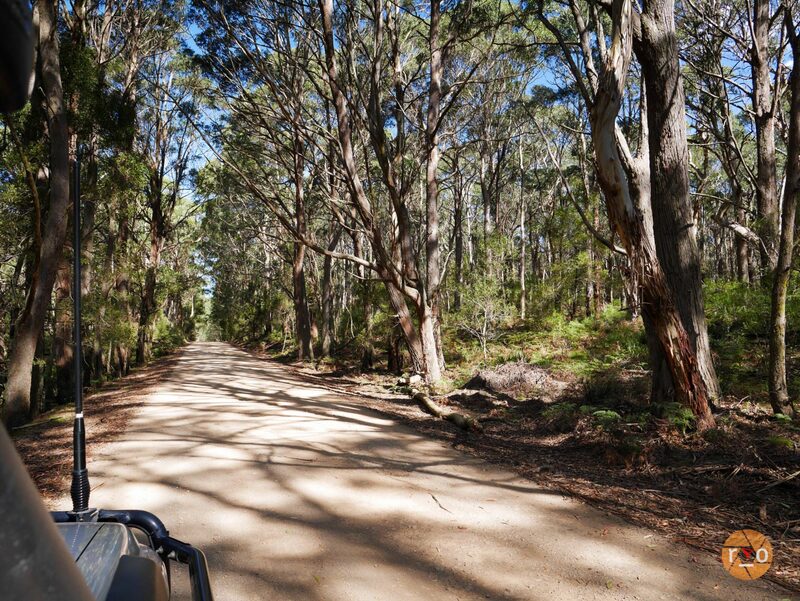 The swag rolled and strapped we headed back toward Kanangra, looking for the Morong Fire Trail. 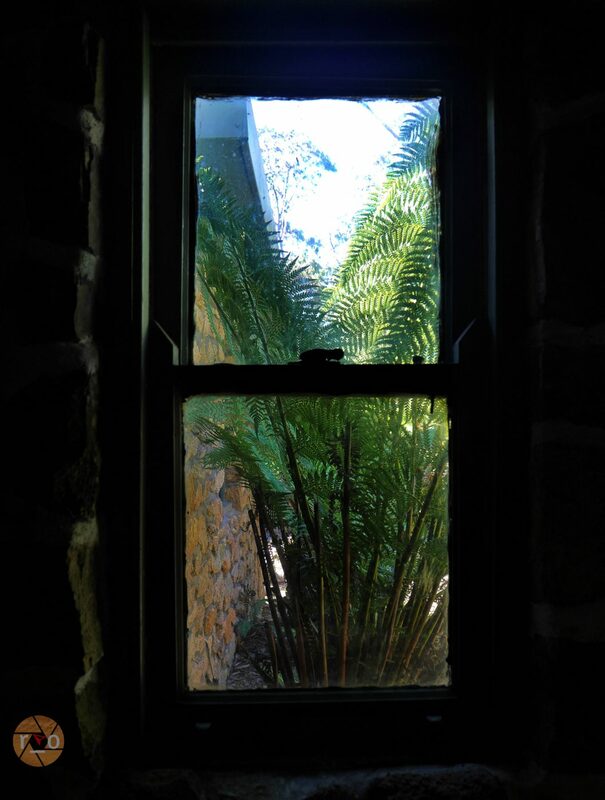 Found and entered, we meandered through the eucalypts, keeping an eye out for a turn to the noted waterfalls on the map. No such signage or trail would materialise however (walk in only, next time!) and it wasn’t long before we were at the water crossing. Shallow but with a couple of steps it proved interesting without any challenge. Re-joining the main trail, we continued on, Slowly beginning an ascent before the sharp morning sun greeted us at the top. We made countless ascents and descents until reaching the water of Kowmung River. A look around, strolling about with my drink bottle – the day area was nice and shaded. The water was not deep but it was a rocky bottom so I engaged first high and made our way across. A no-frills crossing we were ascending up out of the water in no time and back onto the dusty trail. Somewhat vertical in front of us, we had seen this trail during our descent, its scar across the yonder hill more intimidating from afar. Selecting low range first we began the climb. Second low would have sufficed but slowly we made it up. 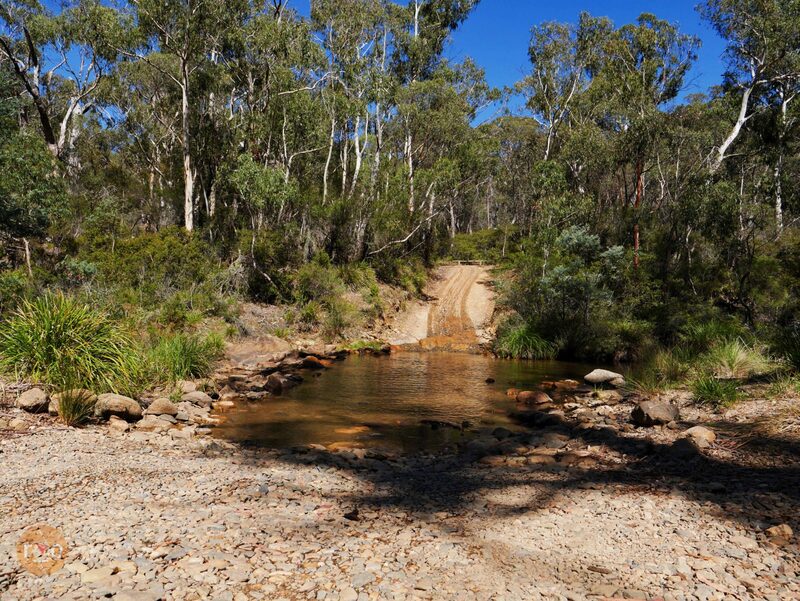 There was another smaller water crossing before we found Dingo Dell camping area, abandoned except for a party of motorbike riders that had stopped for refreshments. Now shadowing a property fence we were instructed to adhere to the track. Following Boiling Billy we meandered along and were eventually thrust, into the neighbouring plantation area. 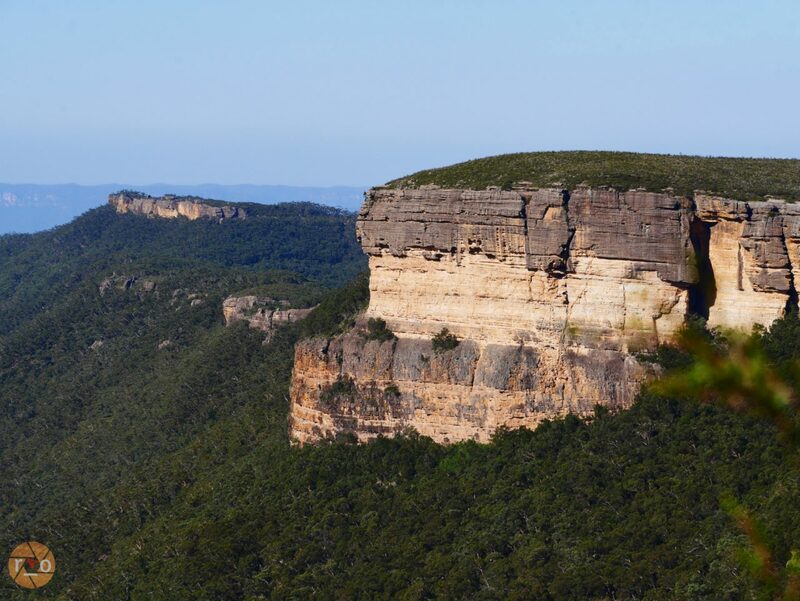 I had read that it was Kanangra area’s inclusion into the Greater Blue Mountains conservation area that saved it from the sprawl of pine plantation. 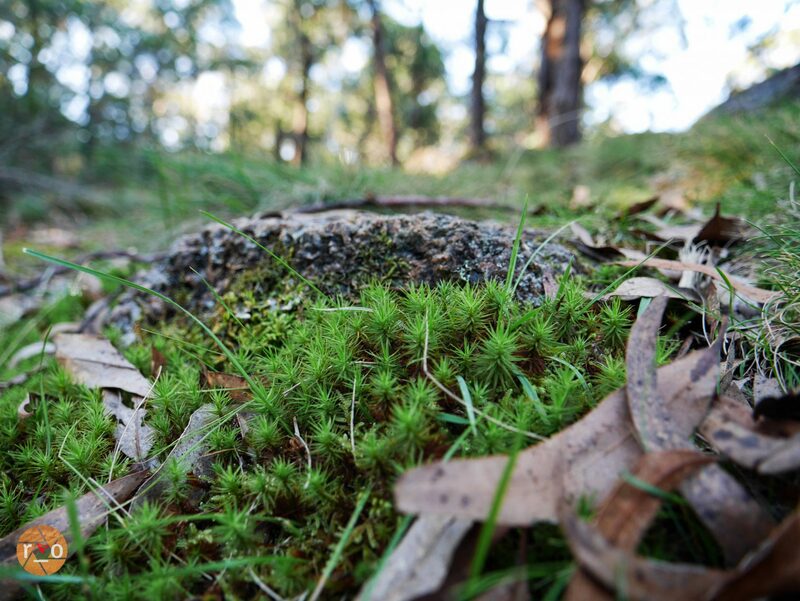 With their scaling heights and devoid undergrowth, the Northern Hemisphere appeal sits in contrast to the old growth gums and crackling litter underfoot. The trail dividing their intentions. Rogue baby eucalyptus had crossed the road , adding a little roadside chaos to their rows. It wasn’t long and we were in familiar territory from previous wanderings. 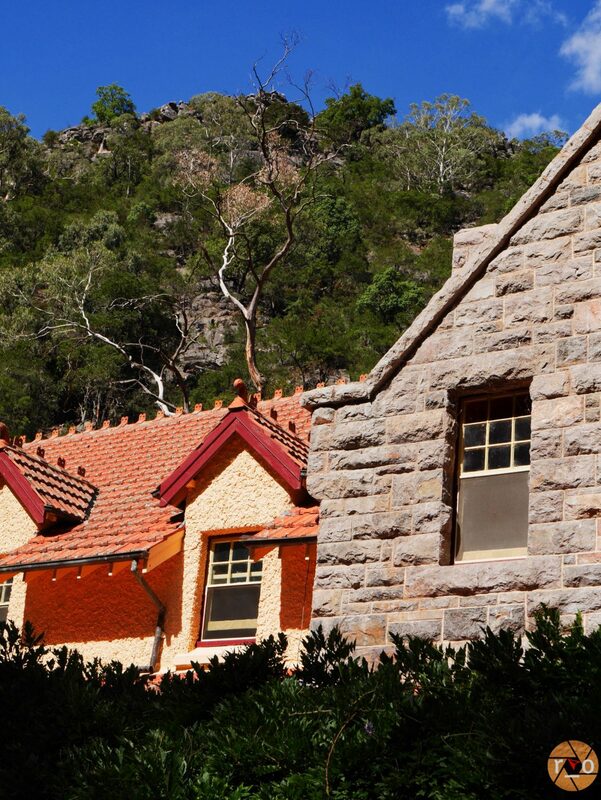 We would omit yonder Yerranderie from today’s adventure, instead opting have a relaxing lunch at Mount Werong hut. Sharing it with the birds only. Wraps with salmon and salad, walking about the empty campsite and the expansive stone hut. Finding a felled tree to cross legs on, we passed the time, well.. literally passing the time. Sunday feels? Rested, fed, we departed for the Range Fire Trail for the last leg. Our lazy lunch and even lazier planning paid dividends when we were accosted with a thin rope strewn across the path and a small notice of closure. That romantic bush smoke was the reduction burning by National Parks and Wildlife Service. We would not be finishing this expedition, as (so casually) we had planned. Turning tail, we headed back, the low flames visible now. We cast a tentative plan of when we could return to complete the trail. 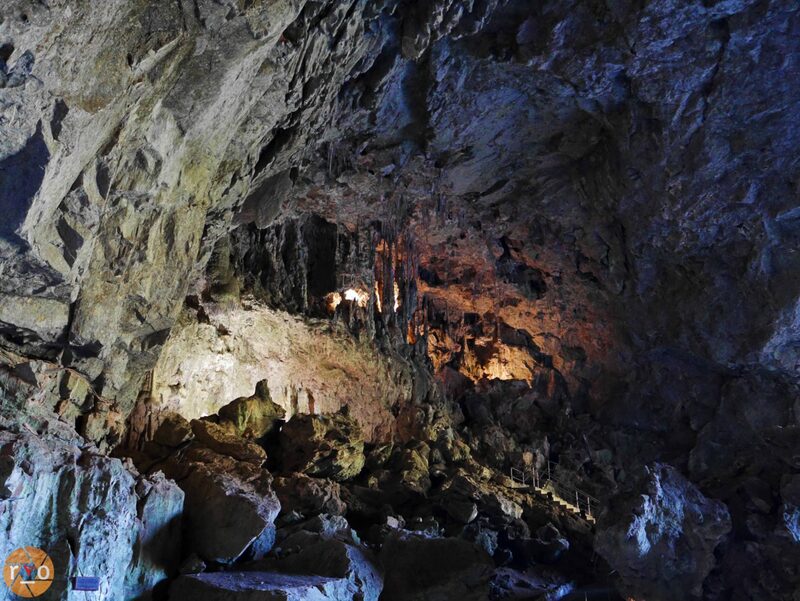 It is called the Caves to …Caves Trek after all. Without too much of a choice, or concern, we made our way to Taralga and Goulburn for a celebratory and commiserative dinner at the Paragon Cafe. 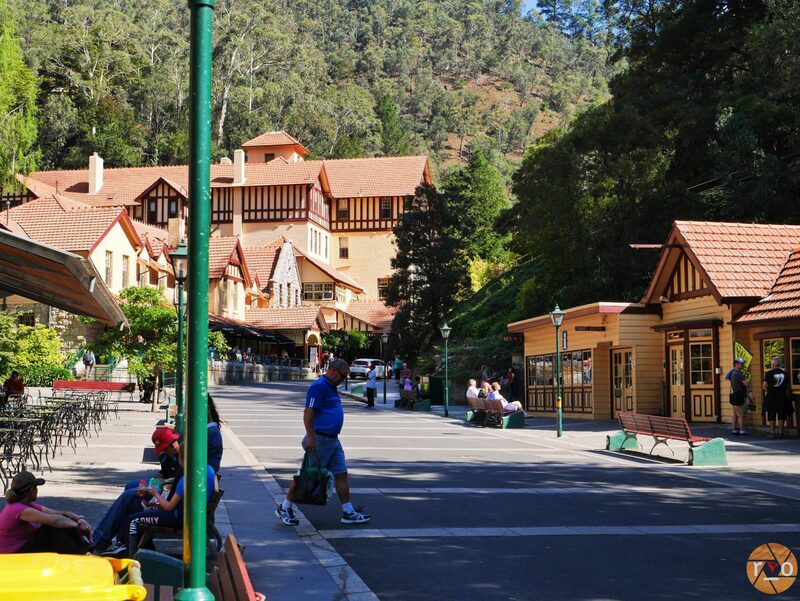 Busy, booths and bountiful old fashioned meals, we rolled out and strolled the long main of Goulburn. Content and digesting, before heading up the highway, home. Great write up Rebecca and I loved your photos. Thankyou so much Miriam, glad you enjoyed the read. We endeavour to return and finish the trail… and tale – sometime soon!